The Friends of Confederation Centre are now accepting donations for one of their most anticipated annual fundraising events, the Pinch Penny Fair. The Centre is now accepting gently used items including: household items, books, sporting goods, toys, plants, music, jewelry, furniture, tools, glassware, etc. Please note: clothing, televisions and computer donations cannot be accepted. Donations can be dropped off at the Richmond Street entrance during operating hours of Confederation Centre of the Arts. 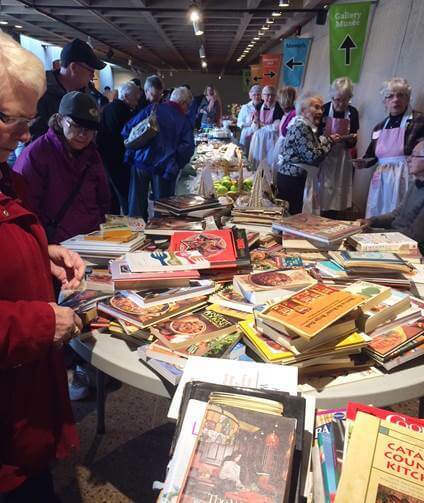 The 50th Annual Pinch Penny Fair is set to take place Saturday, April 28 from 10 a.m. to 1 p.m. at Confederation Centre of the Arts. The Fair will feature a giant indoor yard sale, silent auction, bake sale, plant table, book sale, face painting, children’s activities, and much more! Admission is $2.00 and children 12 and under are free. For additional information call 902-628-6141 or email friends@confederationcentre.com. Photo cutline: The 50th Annual Pinch Penny Fair is on Saturday, April 28 from 10 a.m. to 1 p.m. at Confederation Centre of the Arts.